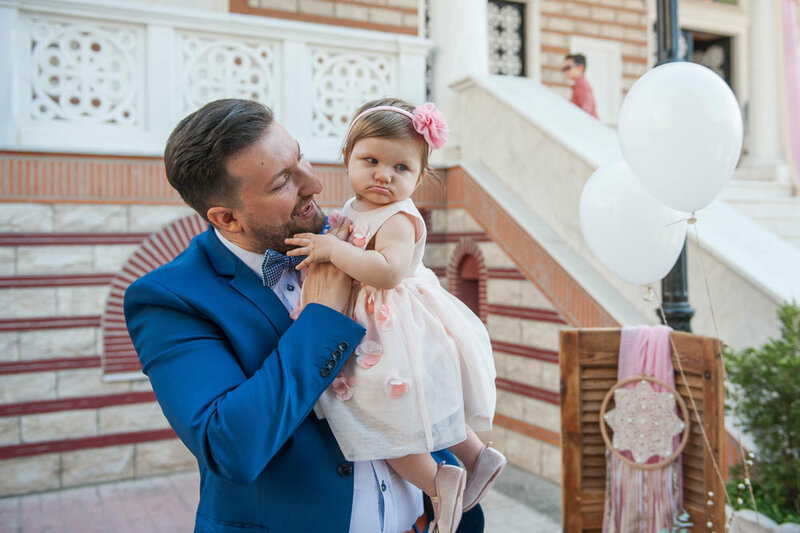 A baptism shoot is a happy experience for us since it gives us the opportunity to photograph so many lovely and beautiful babies. 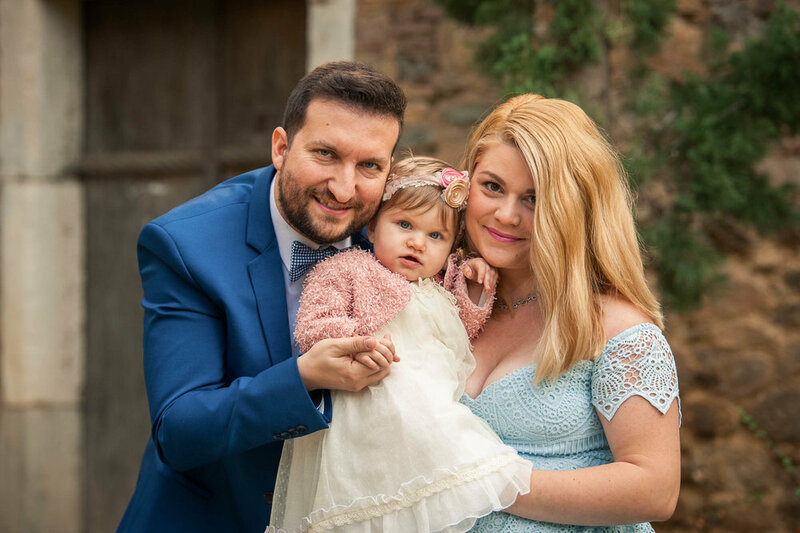 In Stavroula's case, we had one more reason to be glad for, since we're tied with Tonia and Vasilis, her parents, with a years-long friendship. 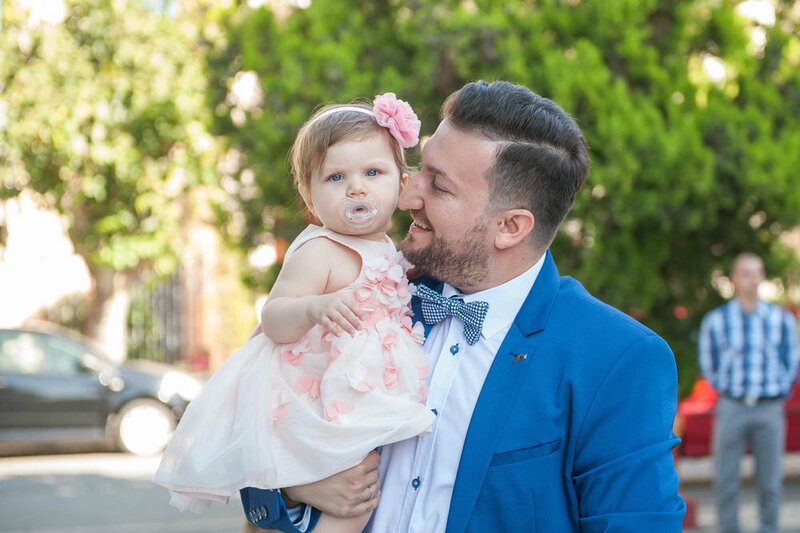 We met when they came to us to shoot their wedding, and we instantly developed an appreciation for each other, which led to us becoming their firstborn Alexandros' godparents. 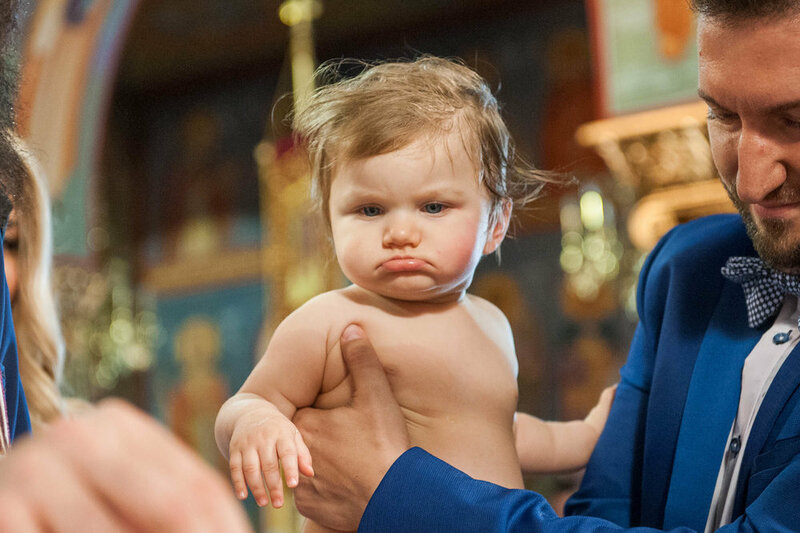 So, with little Stavroula's coming, we had another chance to enjoy them photographically. 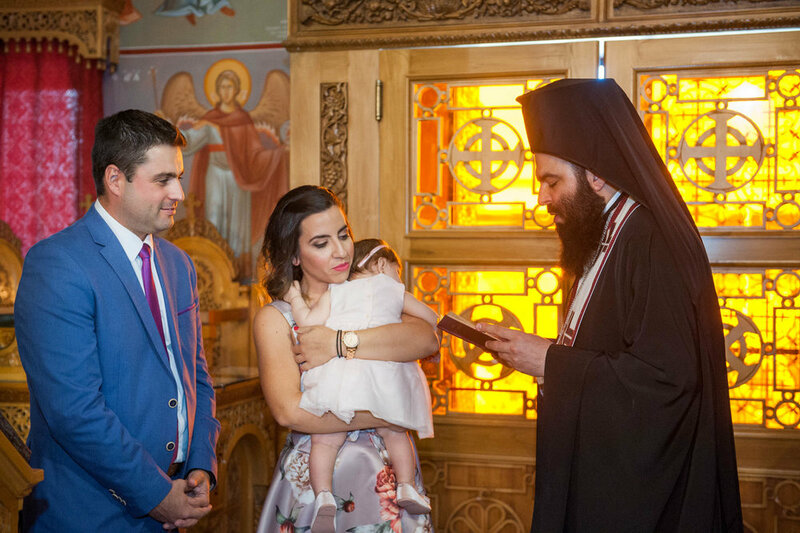 Their baptism took place in Athens, in the Holy Church of Agios Konstantinos and Eleni, in Moschato. 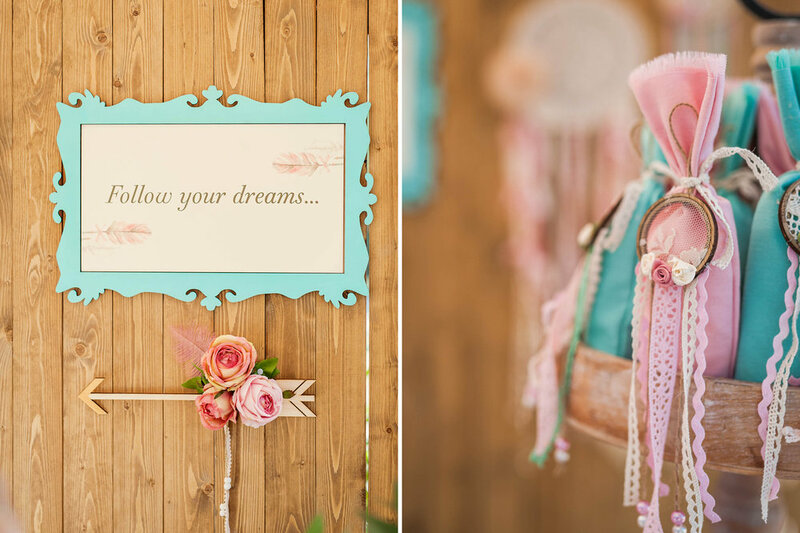 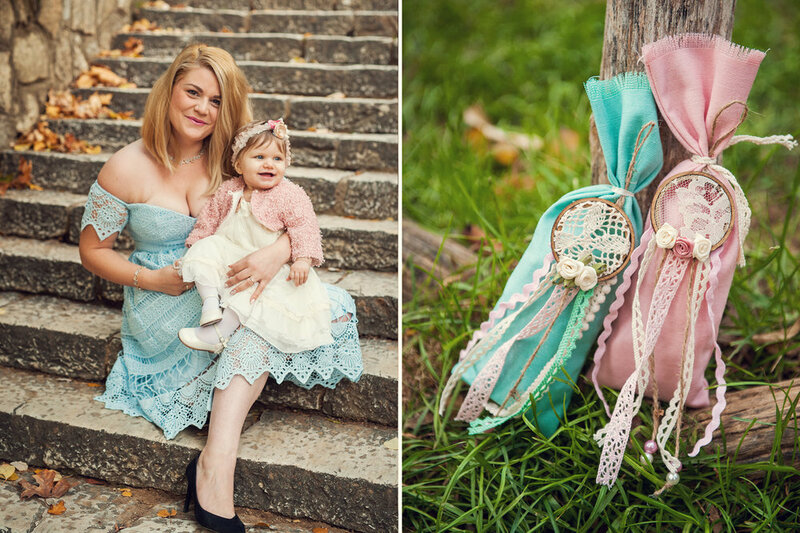 The decoration was done in pink and mint, tied harmoniously to the baptism theme, which was the dreamcatcher. 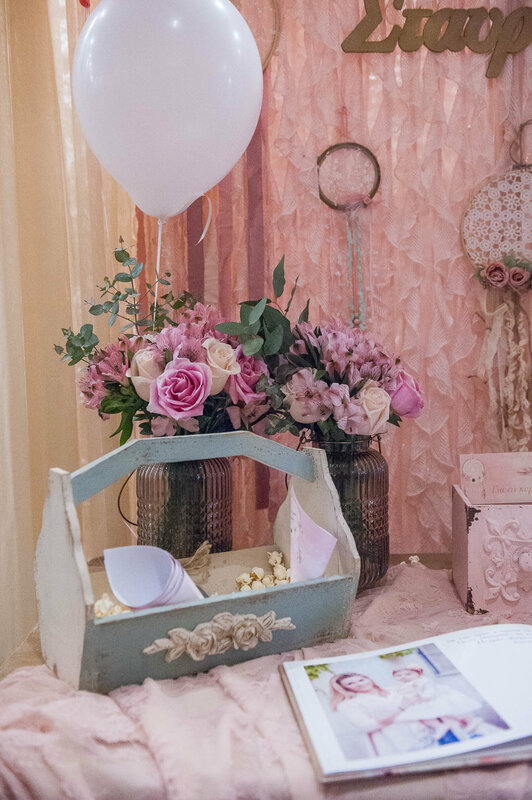 The wish book that we had prepared days ago, was filled with great wishes by their loved ones. 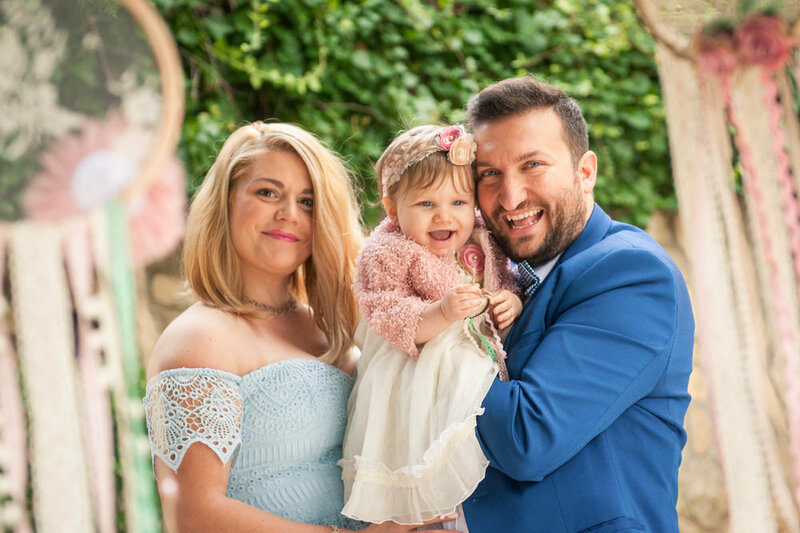 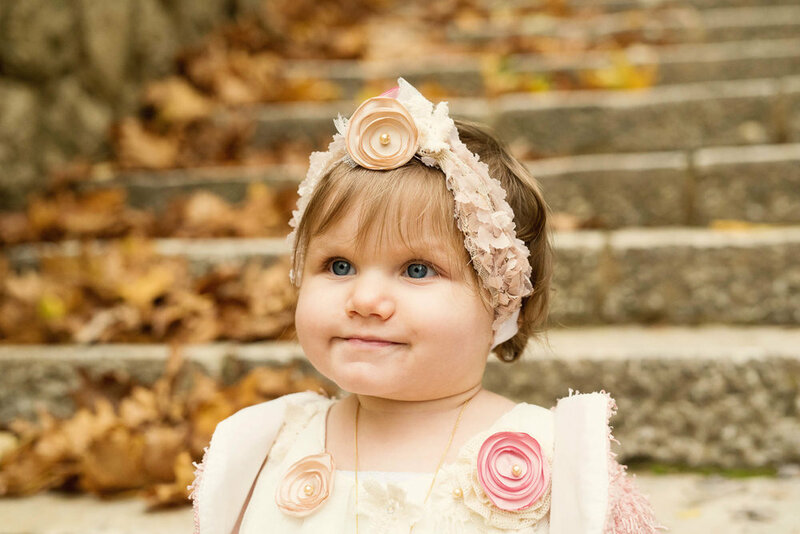 To Vasilis and Tonia, we wish little Stavroula health, and to follow and achieve her dreams, always!